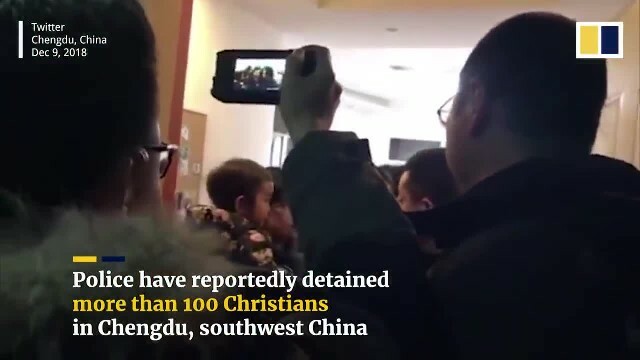 More than 100 Chinese police officers and SWAT team members closed a newly constructed church and beat dozens of Christians who were guarding it, and then buried Bibles and hymnbooks before leaving. The incident in Henan – China’s third largest province – took place in January and was reported by BitterWinter.org April 10. Chinese officials also seized the church’s cash and other possessions. “As soon as they entered the church, they smashed the donation box and pocketed the money, which totaled thousands of [yuan – likely hundreds in U.S. dollars.] They also questioned us about where all of our church’s money was kept,” a church member told Bitter Winter, which monitors religious persecution in China. The congregation, True Jesus Church in Anping, had opened a new building in July 2018 that cost around $300,000 U.S. But the Chinese accused the congregation of being in contact with foreign governments. The Chinese plan on converting the building to a nursing home, Bitter Winter reported. Officials arrived Jan. 4 in dozens of vehicles to take over the building. When 60 or so church members barricaded the entrance with benches, more officers were called to the scene and stormed into the church. They beat the believers, leaving about 15 Christians on the floor moaning in pain. One woman who is in her 70s also was beaten, Bitter Winter reported. Police dug a pit and buried the Bibles and hymnbooks. They also removed the air conditioning units, audio speakers, washing machines, a computer and a piano. Police detained the church’s director for 15 days.